Delve into the exciting field of health psychology on our BPS-accredited course, one of the only master's of this kind to include a compulsory 16-week placement. Our MSc Health Psychology is designed to give you a solid grounding in all the main areas of health psychology. Taking a multidisciplinary approach to the subject, we look at how psychology can be used to help us better understand health and health behaviours, looking at everything from preventing ill health to managing long-term conditions and developing effective healthcare provision. You will gain hands-on experience of methods for conducting research in diverse healthcare settings before going on to apply those skills. We're highly regarded for psychology at the University of Bath. You will work with tutors with expertise across the whole spectrum of health psychology subjects, including public health, addictive behaviours, mindfulness, palliative care and digital interventions. Studying this course will set you up well for moving into a wide range of health-related posts, whether you choose to go on to work at a university, within government, the private sector or in a charity. Part-time students will typically take either one or two units across both semesters. The actual balance will be flexible subject to agreement by the Director of Studies. Your compulsory placement will take place from May to August and can be split across your two years of study. Choose Bath for one of the only BPS-accredited courses to offer a 16-week placement as an integral part of its master's. You'll be based in an academic, public health or clinical setting and will work on a piece of real research, using your knowledge of health psychology theories, models and approaches to tackle a particular issue. As well as gaining invaluable experience, you'll see first-hand how health psychology can be applied in diverse contexts and ways. For example, you might be using research to inform policy around health promotion or disease prevention; or helping a service to use evidence-based models and approaches to develop more effective health interventions. To apply for this course you should have an undergraduate degree in psychology. 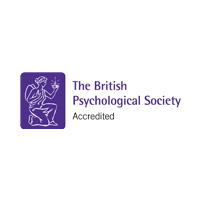 The degree should be recognised by the British Psychological Society as providing Graduate Basis for Chartership (GBC). A university bachelor degree (Ptychio) or diploma with a final overall score of at least 6.5 out of 10. A bachelor degree with a final overall score of at least B (2.5 or laudabilis). A bachelor’s degree with a final overall result of at least a 2:1. We may also consider a final overall result of a high 2:2 from some institutions. A four-year Bachelor’s degree from a high ranked (HEC) university with a final overall result of at least First Class (Division 1). A bachelor's (honours) degree with a final overall result of at least a 2:1 when studied at Nanyang Technological University (NTU), National University of Singapore (NUS) or Singapore University of Social Sciences. A bachelor's degree with a final overall score of at least 3.0 out of 4.0 (B). A bachelor's degree awarded by a university with a final overall score of at least 75% (very good).